If you have little ones or if you’re sensitive to insect stings, you may be hesitant to attract bees to your garden. However, these buzzy little workers generally get a bad rap. In fact they could be the secret behind a more fruitful, beautiful garden. Bees are a vital part of our agricultural system. 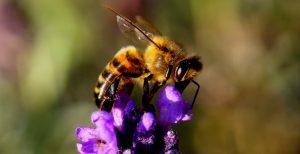 On average, one out of every three bites of food you take depends on pollinators; bees are the most successful and effective pollinators on earth. Their propensity to seek out sweet nectar and the need for pollen to feed their larvae means they spend their days flitting from flower to flower. Pollen sticks to the fuzzy hairs of their bodies and when they visit a neighboring flower of the same species, cross-pollination (a process defined here as: “when pollen from the flower of one plant fertilizes the flower of another plant.”) occurs. This leads to more genetic diversity, and a healthier garden. There are many ways to attract bees so you can take advantage of nature’s hardest workers. The best way to attract bees is to plant a diverse selection of flowers in your garden. Different species of bees have different length tongues and needs to collect pollen for larvae. If you plant a variety of flowers, you are more likely to attract all the various species of bees in your area. Therefore the more diversity, the more bees you will attract for better chances of cross-pollination. You will want a wide range of plants that bloom from early spring to late autumn. In addition to flowers, heirloom vegetables are great sources of pollen and nectar for bees. Heirlooms are more nutritious, tastier, and they don’t ripen all at once. That means you get to pick them throughout the season and don’t have to worry about how you’ll store all your tomatoes through the summer. Plus, you can collect the seeds from heirlooms and use them the next year. Notice anything these plants have in common? All of them are herbs widely used at home and in the kitchen. These plants won’t just attract bees– they will bring an abundance of beauty and fragrance to your garden and home. Of course, perennials extend beyond herbal flowers. 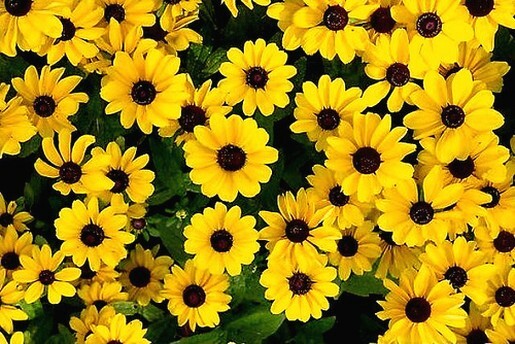 Check out this list of American perennials to find the perfect ones to add to your garden. The best way to attract native bees to your garden is to include native flowers. Wildflowers and wild bees evolved together, so they go together like peanut butter and jelly. Research the local flora of your area and decide which ones are best for your home garden. Generally, bees prefer single flower plants with one ring of petals. These types of flowers make it easier for bees to collect pollen, so they are more popular amongst the hive. Have you heard the nutritional theory that we should eat as many colors as we can daily? Go ahead and apply that same logic to your garden! The more colors, the more biodiversity that attracts various bee species. 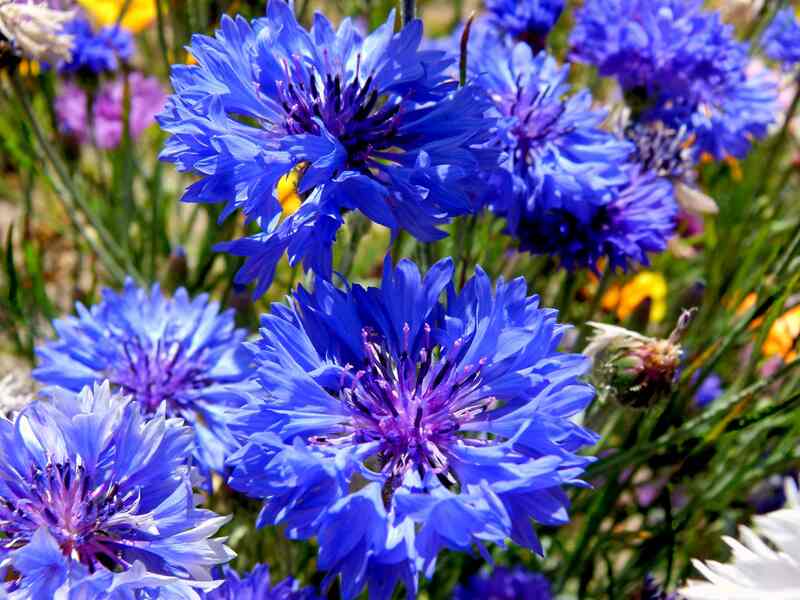 In particular, bees love blue, purple, and yellow flowers the most appealing. Daisies, asters, and cornflowers are great additions to your garden because they smell great, look beautiful, and attract more bee friends. Bees have a symbiotic relationship with your garden, meaning they both benefit from working together. By planting a diverse population of plants, including perennials like herbs, working with native flowers, and making sure there are plenty of different colors, you not only help bees. You also help ensure that your garden will thrive throughout the growing season, so you can be proud to show it off.